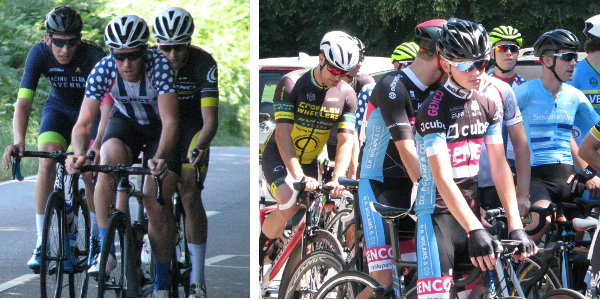 The Handicap series is a set of races that are held on various courses throughout the Surrey area and usually during the months of April, May, June, and July. All races are held on Thursday evenings starting at 7:15 pm attracting up to 30 or so riders who sign on ‘on-the-day’ and not via RiderHQ. The only exception is the Handicap Championship which is held usually on a Sunday in September with riders entering the event via RiderHQ. If you want to organise a Handicap race then the first thing you need to do is choose a circuit (see below), which is local to you and your club and book an available race date with Glyn. Once you have specifically asked for a date and course, and the Surrey League has confirmed this with you, then you’ll need to let your club/team members know so they can pre-book the date well in advance. Running a Handicap race is very similar to a road race, but with a few minor differences (no booked hall, entry on-the-day only and shorter race duration). Each Handicap event requires the organiser to follow certain procedures, which are listed below, that need to be followed with the help from fellow club/team members. Risk assessment: complete a specific risk assessment of the course on the day and feedback to chief comm. As mentioned, the Surrey League has many courses at its disposal each with their own race HQ’s – usually a layby or car park (no booked village halls unless you book one). Details about the courses can be found on the website under the link, in the top navigation, called “Road Courses“. Below is a list of courses which are commonly used for Handicap events and a brief description of their location. The last event in the series is the Handicap Championships. 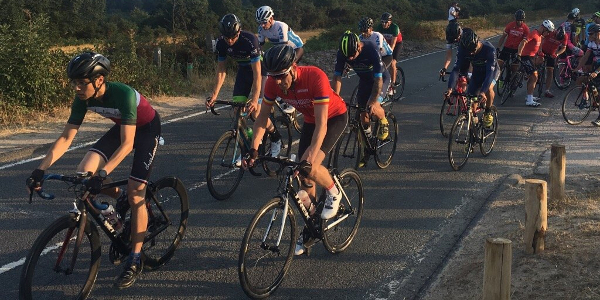 This event is treated differently to all the other handicap events because its held on a Sunday in September, covering 60 miles, and organised as an open road race with a booked village hall. Also, the riders enter the event via RiderHQ in advance of race day and NOT on-the-day. Once racing has begun, riders follow the same rules and regulations as if there were racing an open road race and must follow the instruction of the chief and assistant comm at all times.